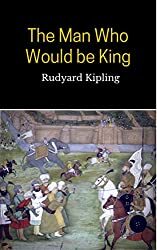 The Man Who Would Be King by Rudyard Kipling , a novella. That’s fine – I should be able to slot that into my Summer reading without any difficulties before 1 August. I’ve read some of Kipling’s books before, including The Just So Stories, Kim (I thought I’d read this but I haven’t), Rikki-Tikki-Tavi and his poem If. Then there is, of course, The Jungle Book (seen the film and may have read the book). My copy is an e-book, which I’ve had for several years, so it will also count towards my Mount TBR Reading Challenge too. Margaret, I haven’t read Kipling in ages. When I see his books and stories in public domain, I don’t know which one to read; though, I do prefer reading the classics as paper books. I’d preder the paper versions too – if they were in a bigger font! Oh, interesting spin, Margaret! I’ll be interested in knowing what you thought of this one. It shouldn’t take me long to read, so I expect I’ll finish it well before 1 August. I am pleased to see you got a novella which should be a lot easier to slot in with your 20 Books of Summer challenge. I also hope you enjoy it – I haven’t read but last year I enjoyed The Jungle Book (with Rikki Tikki Tavi in it) and I have Kim left on my list. I got Journey to the Center of Earth by Jules Verne which I am really pleased with. There have been so many film/TV versions of Journey to the Center of Earth that I feel I know the story, but I expect the book could be different. I hope you enjoy it. I had Kim on my spin list. I’ll be interested to read what you think of The Man Who Would Be King as I definitely haven’t read that one. I’ll pop over to your blog to see what you got.